At TAF Music Gifts, we carry a few mechanical pencils that have been decorated with treble clef made of coloured coated copper wires. These mechanical pencils use commonly available 0.7mm lead refills. We also stock those hard to find 2B pencils that are so essential when marking up orchestral scores (we suggest you buy these with something else to justify the postage!). Click on an image below to find out more about a particular pencil. 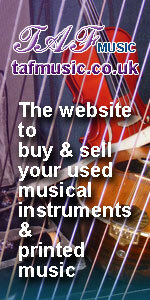 You may also be interested in our practical products such as treble clef light for musicians. All musician pencils are useful items for musicians. Due to computer screen, colours may vary slightly from the picture.